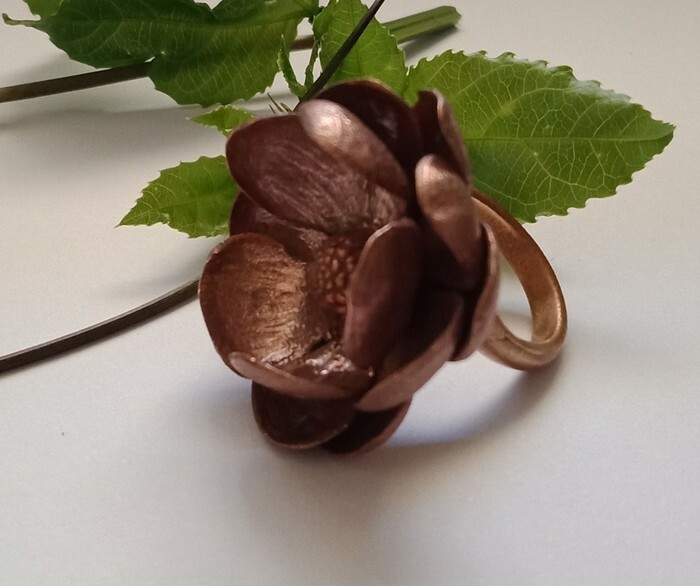 Made from recycled bronze metal clay and brass, fired in a high temperature kiln to produce solid metal this gorgeous floral ring is a beautiful statement piece. This piece is inspired by my summer water garden, full of incredible flowers and colours standing tall in the sun. 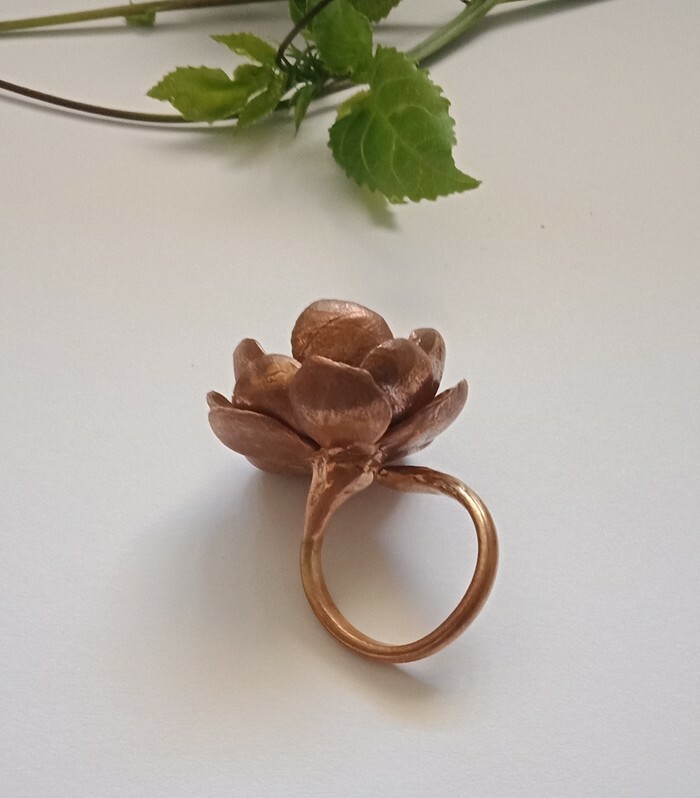 Each petal is hand sculptured in a rich rose gold coloured bronze and applied to a adjustable brass ring shank. Desert Lotus is very comfortable to wear and nicely balanced. 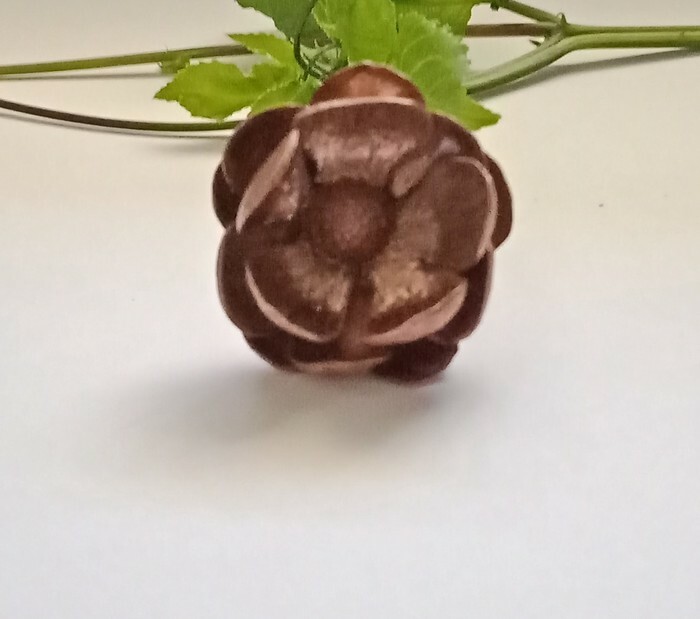 The flower is 3 cm wide and sits about 1.5 cm off the finger. 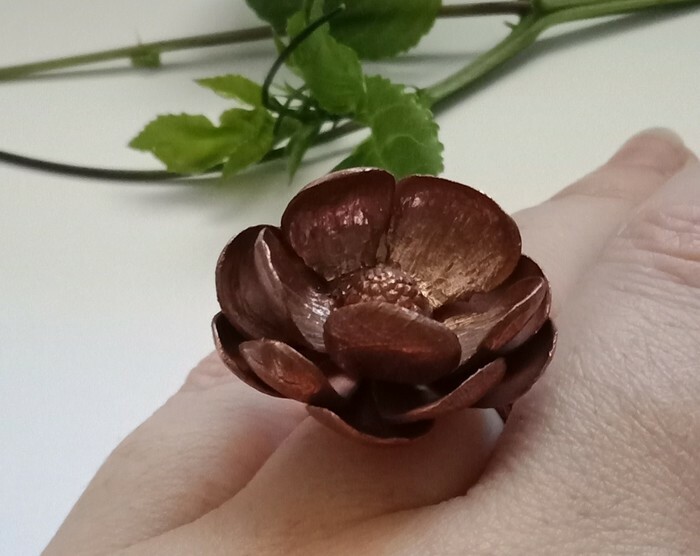 Perfect for any style, day or evening. 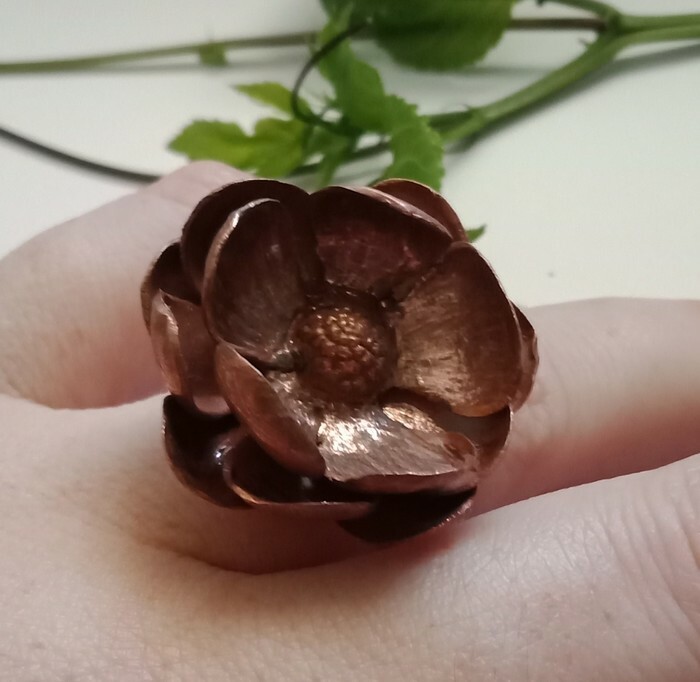 No nickel is used in the making of my pieces. 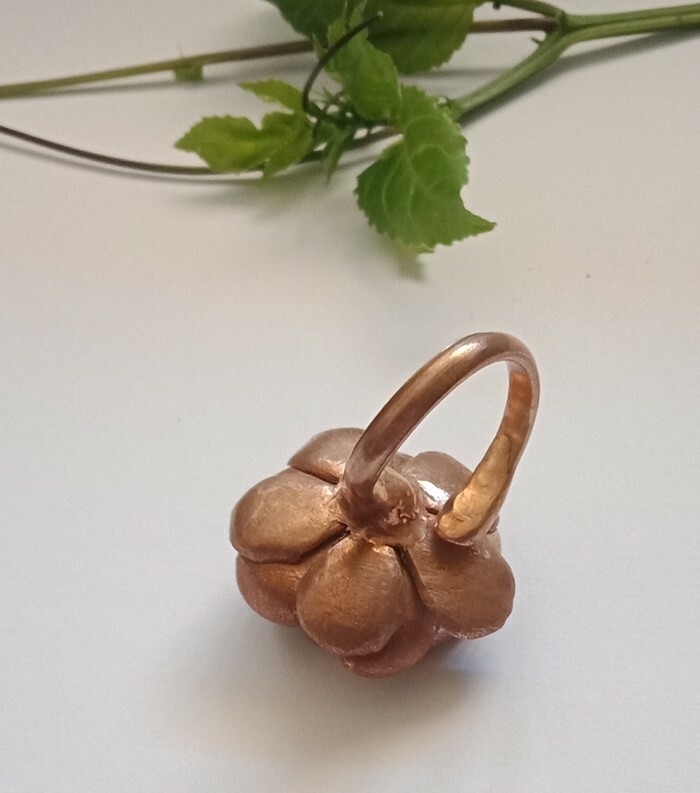 Free standard postage within Australia. If you have any problems please contact myself.